From the West Midlands of England, commonly known as the Black Country, comes Gin Annie, a five piece hard and heavy rock band. Formed in 2013 by cousins Dave Foster (vocals) and Byron Garbett (guitars), Gin Annie drops their debut album, 100% Proof. Perhaps the best description of the Gin Annie sound is guitar-driven, post grunge, melodic hard and heavy rock. Unpacking that statement a little, you can't help but notice the twin guitar harmony, and the wall of riffage. From the twin guitar package fly rather epic solos as well. For the post grunge allusion, there is something of a d-tuned heaviness to the band, especially in the rhythm section. 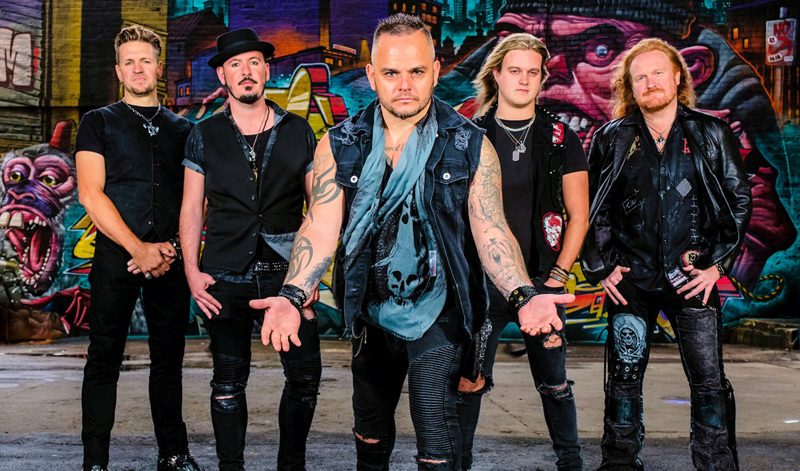 While these elements account for the band's hard and heavy style, their music is also tempered by Dave Foster's even and melodic vocal style. He's a strong singer and easily follows the song melody, but he's never forceful or screamo. You would think he would be buried in the heaviness, but his vocal timbre compliments the music, notably the guitar harmony. 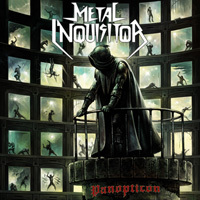 As for the songs, they're mostly solid heavy rockers that deliver upon those aforementioned elements. With Next 2 Me, Love Ain't Here, All I Want, you'll find some big rockers loaded with rhythm, groove, big beat, and fiery guitar work. Dead & Gone and New Bad Habit turn on a notable AOR groove thanks to hooks in the riffs and the catchy refrains. Gin Annie drops something of a ballad with Haunt Me, offering piano, acoustic guitar, and voice at the start before rising to a guitar solo crescendo. The album rounds out with a tribute to their genre and influences, the short and fast rocker Born To Rock n Roll. In the end, I found Gin Annie and 100% Proof to be a band and album that channels classic melodic hard rock through some modern heavy rock nuances with entertaining results. You might like them too. Recommended. 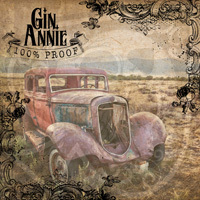 I found Gin Annie and 100% Proof to be a band and album that channels classic melodic hard rock through some modern heavy rock nuances with entertaining results. You might like them too. Recommended.